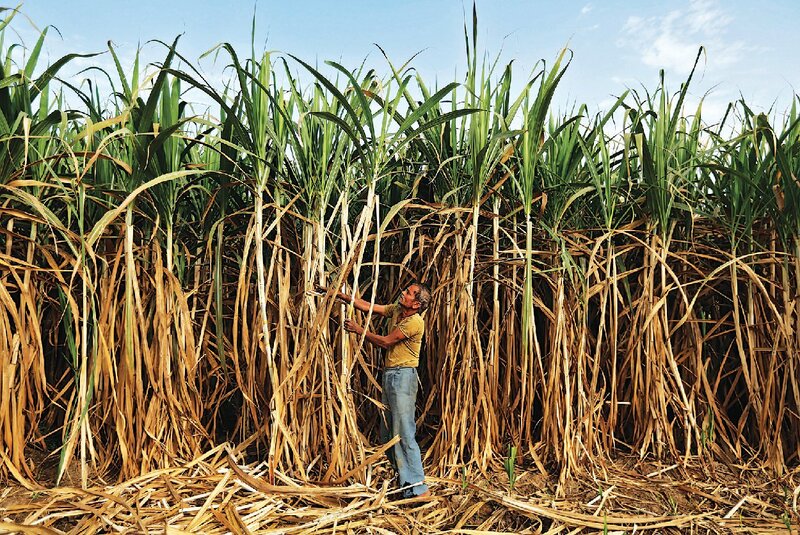 Sugarcane farmers, like this one near Ahmedabad, suffer seasonal scarcity—and the distortions from deprivation. 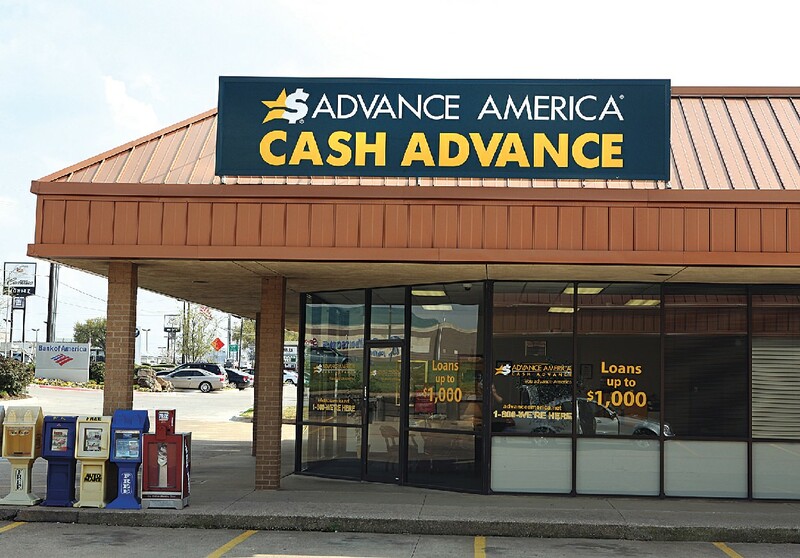 The payday-loan industry (Advance America has 2,400 branches) might be different if borrowers were nudged before their needs arose. Though these odd behaviors were just a footnote in the original Minnesota study, to professor of economics Sendhil Mullainathan, who works on contemporary issues of poverty, they were among the most intriguing findings. Nearly 70 years after publication, that “footnote” showed something remarkable: scarcity had stolen more than flesh and muscle. It had captured the starving men’s minds. Mullainathan is not a psychologist, but he has long been fascinated by how the mind works. As a behavioral economist, he looks at how people’s mental states and social and physical environments affect their economic actions. Research like the Minnesota study raised important questions: What happens to our minds—and our decisions—when we feel we have too little of something? Why, in the face of scarcity, do people so often make seemingly irrational, even counter-productive decisions? And if this is true in large populations, why do so few policies and programs take it into account? In 2008, Mullainathan joined Eldar Shafir, Tod professor of psychology and public affairs at Princeton, to write a book exploring these questions. Scarcity: Why Having Too Little Means So Much (2013) presented years of findings from the fields of psychology and economics, as well as new empirical research of their own. Based on their analysis of the data, they sought to show that, just as food had possessed the minds of the starving volunteers in Minnesota, scarcity steals mental capacity wherever it occurs—from the hungry, to the lonely, to the time-strapped, to the poor. But what’s most striking—and in some circles, controversial—about their work is not what they reveal about the effects of scarcity. It’s their assertion that scarcity affects anyone in its grip. Their argument: qualities often considered part of someone’s basic character—impulsive behavior, poor performance in school, poor financial decisions—may in fact be the products of a pervasive feeling of scarcity. And when that feeling is constant, as it is for people mired in poverty, it captures and compromises the mind. This is one of scarcity’s most insidious effects, they argue: creating mindsets that rarely consider long-term best interests. “To put it bluntly,” says Mullainathan, “if I made you poor tomorrow, you’d probably start behaving in many of the same ways we associate with poor people.” And just like many poor people, he adds, you’d likely get stuck in the scarcity trap. Mullainathan is the first to admit he’s no stranger to the scarcity cycle—particularly when it comes to time. A self-confessed over-committer with endless energy for exploring new passions, he is “quite familiar” with tardiness and missed deadlines. 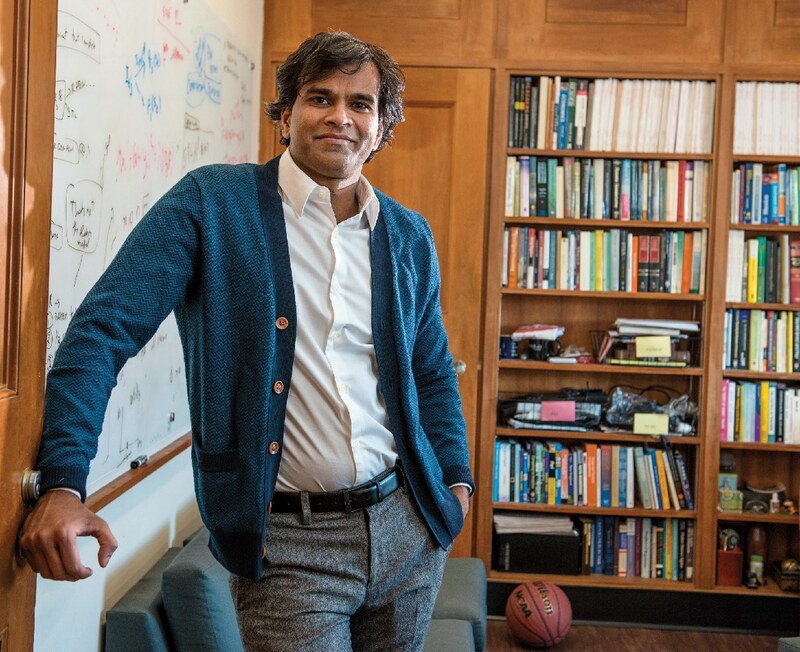 Though he’s no slouch at juggling tasks—at age 42, he’s a tenured professor, a MacArthur Fellowship recipient, and a rising star in behavioral economics—things are still always piling up, he says during an interview, pointing to actual piles of papers around his office desk. Though he spent much of his early life in “decently comfortable” economic circumstances, Mullainathan has seen poverty first-hand, and it seared itself deep in his psyche. Born in a small South Indian sugarcane-farming village, he moved to Los Angeles at age seven with his family so his father could study, and later work in, aerospace engineering. But, as he recalls it, in the 1980s, when new laws mandated heightened security clearances in departments that had not previously required them, noncitizens like his father were suddenly out of a job with no chance of finding another one in the industry. “This was the first time I felt real economic insecurity,” Mullainathan remembers. It was also the first time he saw scarcity’s effects in action. The job loss “in some ways liberated him,” he says of his father. Suddenly without a roadmap for the first time, Mullainathan’s parents bought a video store, which, through creative strategies—like developing a computer program they sold to other stores—became in time a successful endeavor. But those initial years were also packed with tensions and insecurity that set the family on edge. “Overnight,” he says, “I saw my parents change”: suddenly, they were much more stressed out and short-tempered, as if part of their personalities was different. The colleague, of course, was right, Mullainathan concedes; economics is the study of how people manage physical scarcity. But even though actual scarcity is ubiquitous—there are always limits to time, food, and money—the feeling of scarcity is not, he explains. This overpowering mindset was what he and Shafir were interested in studying, and it had effects, they argued, that could be quantified and explored empirically. Imagine you’ve got car trouble and repairs cost $300. Your auto insurance will cover half the cost. You need to decide whether to go ahead and get the car fixed,or take a chance and hope that it lasts for a while longer. How would you make this decision? Financially, would it be easy or hard? Using self-reported household income, the researchers split the subjects into groups of “rich” and “poor.” When they tallied their scores on the Raven’s Matrices, there was no statistically significant difference in the groups’ performance. They attribute this result to the maelstrom of problems poor people must suddenly confront in the face of a large unexpected expense: how will I pay the rent, buy food, take care of my kids? This round of mental juggling depletes the amount of mental bandwidth available for everything else. Such problems simply don’t arise for the rich. To rule out other factors, the researchers posed nonfinancial questions with small and large numbers; they even tried versions where they paid people for correct answers to questions. In each case, there was no difference in performance. But the real test lay in the real world, Mullainathan continues. If just thinking about scarcity preoccupied subjects, what effect would real scarcity have? The answer came from fieldwork he and his colleagues were already conducting in India. Sugarcane farmers, they discovered, get their income in one lump sum at harvest time, just once or twice a year. That meant farmers were poor during one part of the year, and flush with cash during another. Because harvests took place at different times for different farmers, researchers could rule out seasonal weather, events, and their accompanying obligations as bandwidth-usurping factors. And when the researchers conducted a study there similar to the New Jersey mall experiment, the results mirrored their original findings: the Indian farmers performed worse on Raven’s Matrices tests before their harvest, and better after they’d been paid. The conclusion was clear, Mullainathan explains: poverty itself taxes the mind. And in the case of the Indian farmers, he adds, the data were even more convincing: unlike the New Jersey “lab” study, where subjects were compared to other people, the farmers were compared to themselves. The only variables that had changed were their financial circumstances. During the last half-century, the effects of stress and distraction on attention and self-control have been well explored by social scientists: psychologists like Roy Baumeister of Florida State University (formerly of Case Western Reserve University) have done extensive work on willpower and mental depletion, for example, showing that people who had forced themselves to eat radishes instead of tempting chocolates quit working on unsolvable puzzles sooner than those who had not. At Stanford, another study on decisionmaking found that subjects asked to memorize long strings of numbers had a harder time choosing healthy snacks over sweets than subjects asked to remember just two or three digits. It’s a phenomenon scientists can see even in the chemistry of the brain: during periods of stress and tough self-control tasks, glucose levels plummet in the frontal cortex (the region associated with attention, planning, and motivation). Low blood sugar can deplete physical capacities; a struggling mind can create similar chemistry in the brain, and trigger the same debilitating results. But despite these advances in psychology and neuroscience, the idea that behavioral findings could beget insight into economic decisions is relatively new. For years, neoclassical economics maintained that people were rational, selfish actors who consistently made decisions in their own best interests. But in 1979, a breakthrough paper on decisionmaking by Princeton psychologist Daniel Kahneman, LL.D. ’04, and Amos Tversky of Stanford, began to chip away at that idea. Their study asserted that the way choices are presented has as much effect on decisions as the actual value of the things people choose. In the following decades, their paper became one of the most widely cited studies in economics; 23 years later, after Tversky’s death, Kahneman won a Nobel Prize. In 2011, in collaboration with Anuj Shah, now assistant professor of behavioral science at the University of Chicago Booth School of Business (then a graduate student at Princeton), they devised a study that they hoped would prove their point, inducing that same high-risk borrowing behavior in Princeton undergraduates by having them play a version of the American TV game show Family Feud. In the show, contestants are asked to name things that belong to categories—for instance, “Things you might find in a professor’s office.” Unlike regular trivia games that have right and wrong answers, there are no right responses in Family Feud, just popular ones (the list of answers is gathered from a survey of 100 people prior to the show). Because contestants must think through an array of options before answering, time pressure limits the number of paths they can explore before hazarding a guess, so scarcity’s effects are in full bloom. At Princeton, contestants were randomly split into “rich” and “poor” groups—the rich having more time to guess than the poor. All were given the option to borrow time: each additional second borrowed would cost them two seconds of “interest” deducted from their total time. “The results mimicked everything we see in the real world,” Mullainathan reports. At first, the poor performed better than the rich did; scarcity made them focus more intently on the task. But when, in the next round, the subjects were allowed to roll over their loans and “repay” in subsequent rounds (thus making future rounds shorter), things quickly fell apart for the poor contestants. Early borrowing created a vicious circle for the poor; pressed for time, they needed to borrow more seconds, and borrowing more made them more pressed for time. By the final rounds, most of their time went to paying back loans, and the poor lost rounds that the rich won handily. These students were randomly assigned to “poverty,” Mullainathan explains, so there could be nothing substantially different between them and those fellow students labeled “rich.” “The study shows the intimate link between success and failure under scarcity,” he and Shafir write in Scarcity. And scarcity, no matter whom it menaces, inevitably leads to more scarcity. So how can people escape the scarcity trap? And why does such research matter? The answer, says Mullainathan, isn’t necessarily a shift in policy, but a shift in policymakers’ perspective. This is the question we should be asking, says Mullainathan—a point he and Shafir make quite memorably in their book by telling a story about a spate of plane crashes that occurred during World War II. During that era, the authors recount, the United States military experienced an inordinate number of “wheels-up” crashes; after planes had landed, pilots would inexplicably retract the wheels instead of the wing flaps, sending the planes crashing to the runways on their bellies. At first, the blame fell squarely on the pilots, the authors explain: why were they so careless? Were they fatigued? But when the military began to look more closely, they realized the problem was limited to two particular plane models: B-17s and B-25s. Instead of looking inside the heads of the pilots, Mullainathan and Shafir write, the military looked inside the cockpits of those specific planes; there investigators discovered that the wheel controls and flap controls were placed right next to each other and looked nearly identical—a design specific only to the crashing planes. After identifying the problem and implementing a minor change in design (a small rubber wheel was placed on the end of the landing-gear lever), the number of wheels-up crashes declined. The same should be true, they argue, for programs and policies that address poverty. Just as well-trained World War II pilots made seemingly silly errors in poorly designed cockpits, well-intentioned social programs such as low-income job-training courses, subsidized vaccination programs, and bank programs designed to help people save money, sometimes fail to attract—or retain—the people they are designed to serve. It’s natural to look at the intended clients and blame a lack of personal responsibility, the authors explain. But, as Mullainathan and Shafir have shown through their own work, all individuals stuck in a cycle of scarcity will inevitably find themselves plagued with similar slips in performance; focus often suffers, long-term planning gives way to immediate financial fire-fighting, follow-through on commitments often becomes sporadic. So why not design social programs that make room for this scarcity-induced behavior? the authors ask. Why not look at the “cockpit” instead of the “pilot”? Take job-assistance programs, for instance, where absenteeism and non-completion are a regular problem. The clients these programs serve are often mentally depleted by the time they arrive for classes, the authors explain: out-of-work clients struggle to make ends meet and often must arrange transportation and child care in order to attend a session. If a client misses a class—a likely occurrence—the authors explain, attending the next one becomes much more difficult, and dropping out becomes increasingly likely. But what if the class had a less rigid curriculum? Instead of offering more classes or changing the curriculum, Mullainathan and Shafir suggest, existing classes could be altered to start at different times and proceed in parallel. Then, if clients miss a class, the authors argue, they could simply show up the following week to a parallel session running a week or two behind. Most importantly, the authors explain, this shift in focus from “pilot” to “cockpit” does not necessarily require expensive monumental changes in existing policy. Rather, they argue, just as the addition of the small rubber wheel to the landing-gear lever in the World War II planes reduced pilot error, these social programs might achieve greater success through small tweaks to their design. Small changes can have huge effects, Mullainathan explains—an approach to policy that has gained traction during the last decade, in particular through the work of Richard Thaler, Walgreen Distinguished Service Professor of behavioral science and economics at Chicago’s Booth School, and Walmsley University Professor Cass Sunstein, of Harvard Law School (see “The Legal Olympian,” January-February, page 43). Their 2008 book, Nudge: Improving Decisions about Health, Wealth, and Happiness, presented years of research and insight on “choice architecture”—methods of influencing decisions by changing which choices are offered, without taking away people’s freedom to choose. This type of decision manipulation is well known—and widely used—in the world of marketing, and like any tool, Mullainathan says, “It can be used for evil.” But in the world of behavioral economics, the idea is to help people do the things they already want to do: ironically, to make the rational, healthy, self-benefiting choices that traditional economic models (wrongly) assumed they already consistently did. In certain circumstances, he explains, “nudging” people into better choices can be as easy as changing the wording on a page. For instance, when workers start a new job in the United States, they are given a form asking them to check a box if they want to enroll in a 401(k) retirement plan. In a 2001 study by Brigitte Madrian and Denis F. Shea (both then at Chicago; Madrian is now Aetna professor of public policy and corporate management at the Harvard Kennedy School), researchers gave new employees at certain businesses slightly altered forms, instructing them to check the box if they did not want to enroll. The results were striking, notes Mullainathan: at companies where employees had to opt out, more than 80 percent enrolled; at companies where they had to opt in, only 45 percent checked the box. But in other circumstances—for example in the case of payday loans—the solutions are much less straightforward. Poor people take on these predatory loans because they have to, Mullainathan explains; bills must be paid now. Any nudging—or even outright pushing—at that moment will likely have little effect. But what if the nudges occurred long before the payday loan was necessary? What if people who are consumed by financial pressures in the present got help in planning for the future? Mullainathan and Shafir present pages of suggested solutions, citing successful programs like Save More Tomorrow, a retirement-savings plan designed by Thaler and behavioral economist Shlomo Benartzi, a professor at the UCLA Anderson School of Management. The program asks people to commit to savings deductions whenever their salary increases in the future; instead of asking them to sacrifice during times of scarcity, Mullainathan explains, it’s done during times of (relative) abundance. The results were encouraging across the board, and in one firm, more than 75 percent of those offered the plan chose to enroll. By the third pay raise, those who had opted in had more than tripled their savings rates. To effect such changes, behavioral economists must first shift people’s thinking—and the only way to do that, says Mullainathan, is to provide more evidence that their approaches to policy work in the real world. For policymakers, it’s that potential to effect change broadly that matters—and the evidence of success from the behavioral sciences has begun to catch their attention. In 2010, the British government formed the Behavioural Insights Team, intended to spread understanding of behavioral approaches and to implement trial programs in several areas of social policy. In 2014, the White House formed its own Social and Behavioral Sciences Team (called SBST, though many in the field refer to it as the “Nudge Unit”), and other governments around the world have shown interest in doing the same. For Mullainathan, it’s been thrilling to see the spotlight widen from its traditional focus on people’s decisions to the circumstances shaping those choices. Mounting evidence of experimental programs’ successes and increased attention from reputable organizations has spurred real interest from policymakers in exploring behavioral economic solutions. But interest and full-scale adoption are two very different things, he points out, and the biggest hurdle to widespread implementation is the problem of poverty itself. “Our solutions always struggle because the underlying problem is so complicated,” Mullainathan explains. What might work for one population might completely fail for another. Although social scientists know a lot about the economics of poverty, they know much less about the psychology it creates in individual populations, and this social science, Mullainathan argues, is just as important as the technological sciences policymakers rely on to solve problems. Scientists spend vast resources developing medications, water-purifying technologies, financial products, and social services designed to help people in need, he explains. But getting people to use these technologies also requires understanding the psychology of the people using them. Policymakers, he says, must make this type of research a priority. “Bandwidth is a core resource,” Mullainathan and Shafir argue—one just as powerful, limited, and influential in people’s decisionmaking process as the dollars in their bank account. If we begin to look at bandwidth and the factors affecting it in the same way we measure economic circumstances, the authors claim, we can design and evaluate social programs based on how people actually act—not simply how numbers and statistics tell us they should. “The mistake we make in managing scarcity is that we focus on one side of the calculus,” they write at the conclusion of their book. The cost of making changes to existing policies is easy to measure, but the cost of not doing so is much harder to quantify. This is what the science of scarcity attempts to gauge, Mullainathan and Shafir maintain: how situations, programs, and policies can deplete, tax, or build up psychological resources that are every bit as important as the physical ones that fill—or empty—our coffers. Cara Feinberg is a journalist working in print and documentary television. She can be reached through her website at www.CaraFeinberg.com.